FPV drone racing is a recent sport that began in Australia in which pilots control a drone with a forward-facing camera mounted on the front. This video feed is either directed to the controller or a virtual reality headset. The race is in the style of a time trial, with floating checkpoints that must be flown through in order in the shortest amount of time. Very rarely these are run as normal races, but the risk of crashing and damaging the fragile drones is greatly increased in this style race and is therefore very rarely seen. New Zealand coined the term Rotorcross, but 'FPV Drone Racing' is used most often by hobby enthusiasts. With the possible upcoming addition of 360-degree cameras, the potential for full projected virtual reality is there, but currently wireless technology doesn't permit for adequate quality video streams in this format. 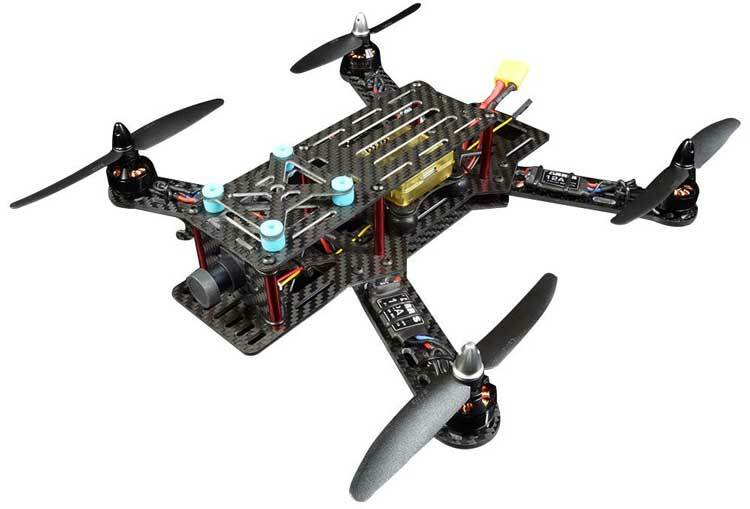 Unlike photography drones, which are designed to hover, FPV racing drones are designed to fly forwards and turn very aggressively. The designs allow for exceptional speeds, but require extremely skilled pilots with quick reactions. Many racing leagues offer the sport in open environments, with minimal obstacles. Obstacles are usually flags and cones which offer greater safety to the drone; however some leagues design courses with walls and tunnels that lead to crashes very often. This is all part of the sport, and users should base their race type on the budget for their drone. Did you miss our top picks overall? Check out our top five picks for drones for sale. 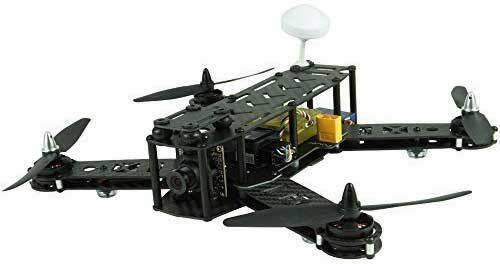 With a full carbon-fiber, aluminum, and plastic design, the ImmersionRC Vortex 285 is amazingly light and fast. With specially designed fracture points, all the stress of a crash goes to the plastic parts which come in an awesomely cheap kit for quick and easy replacements. It even features the ability to plug directly into ones PC and adjust settings there. The Blade Mach 25 is the easiest to fly out of this list, as it comes with SAFE technology, Blade's proprietary flight assist feature. With multiple modes for SAFE, a pilot can choose from heavy assists to raw input. A vibration dampening carbon fiber camera mount help to maintain perfect vision in even the most intense of races. Tool free propellor replacement and a carbon fiber/aluminum body make for a sturdy and easy to fix FPV drone. The Arris FPV250 is the least expensive in this list without being a DIY kit. Although this does support many DIY features, it is nearly ready to fly. You need only have your own radio controller and transmitter for the drone and a battery. 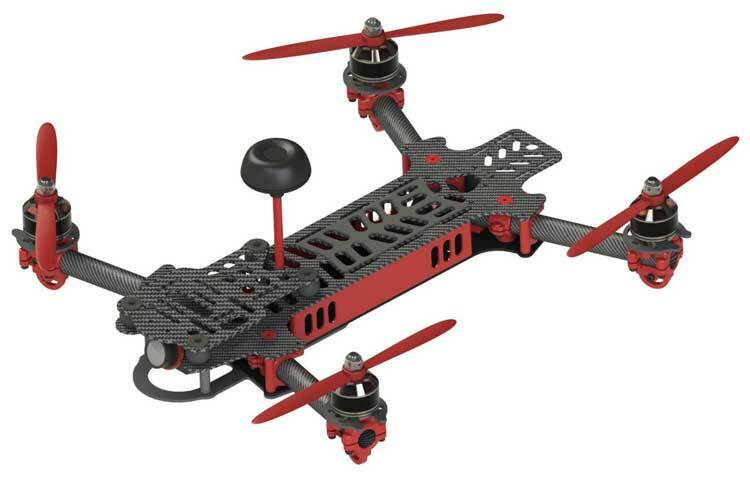 With a carbon/glass fiber weave this drone is fairly light and is an amazing deal. The frame is exceptionally durable and fairly crash resistant. 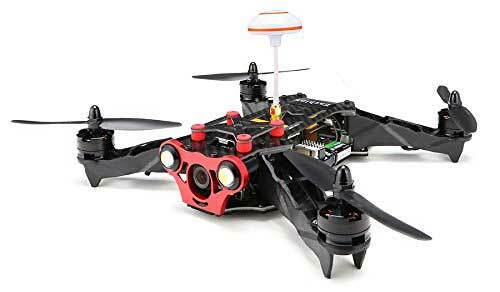 Easily upgradeable blades make this an excellent option for modification, and 6" blades make this a very fast FPV drone. Fully carbon fiber. Fully assembled. Full power distribution board. The Arris X-Speed FPV 250 is ready to fly right away, and leaves tons of room to upgrade while still being an amazing FPV racing drone without upgrading. 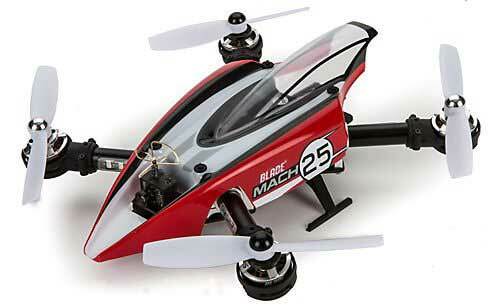 Unlike most drones, these are designed for speed, both forward and turning. These drones are capable of impressive aerial maneuvers, but require expert piloting, and feature little to no flight assistance. Used primarily in amateur sporting events, you won't see these too often outside of a hobbyist or enthusiast group.